WordPress plugins that just work! 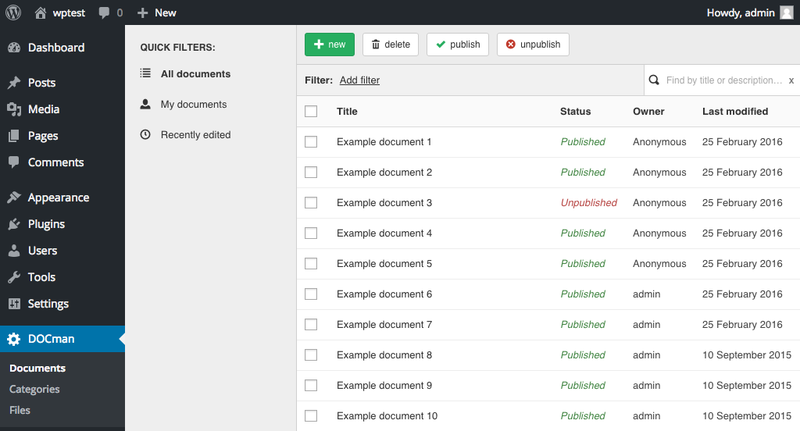 Offer downloadable documents on your WordPress site in a jiffy. We hate spam, so we won't bother you with that. Organize your documents across nested categories. Upload many documents at once with a single click. Share documents privately and securly with individual users. Easily insert links to documents into articles. Upload large amounts of files using FTP. Link to files stored on a remote server.